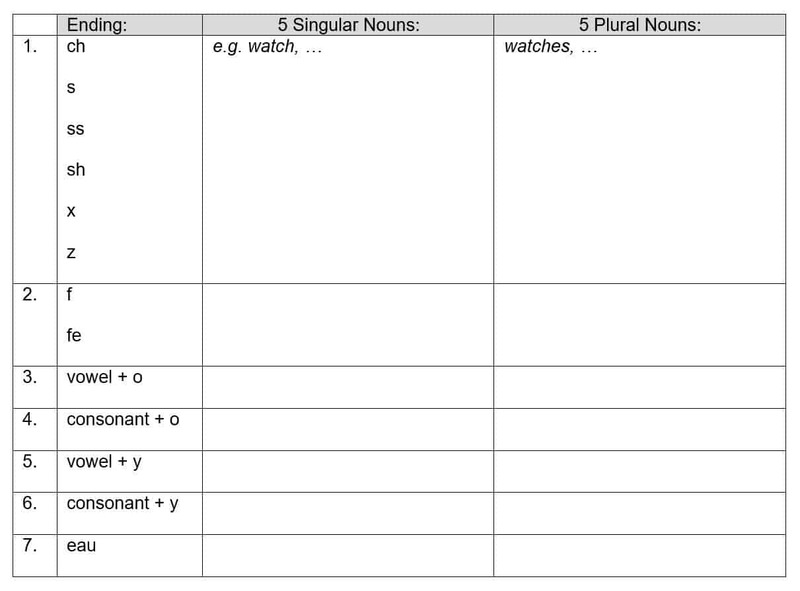 5.1.1 The word singular means ‘one’ while plural means ‘more than one’. A singular noun is one thing, e.g. a book, while a plural noun is more than one thing, e.g. two books or twenty-five books. 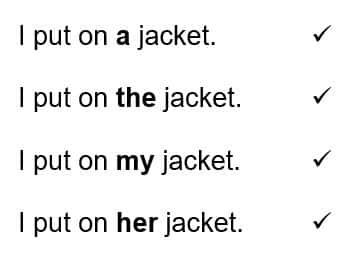 5.1.2 A singular noun in English does not have an ending added to it, e.g. a pencil, while we usually make a noun plural by adding ‘s’, e.g. some pencils. 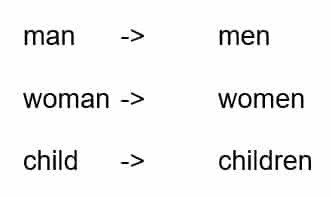 In the case of these three words we have kept the irregular plural forms from historical English. 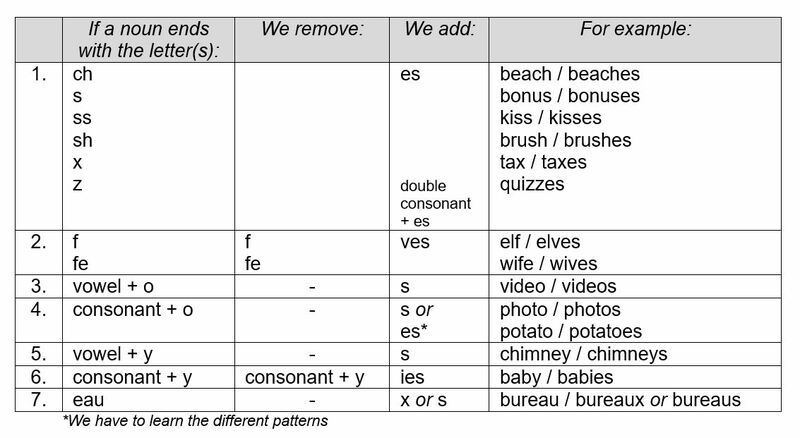 Almost all nouns: we add ‘s’ to make the word plural, e.g. books, tables, phones, roads, etc. 5.1.7 As we saw in 5.1.4, above, some irregular nouns in English are just irregular and do not fit into any of these spelling groups. …while others do not. 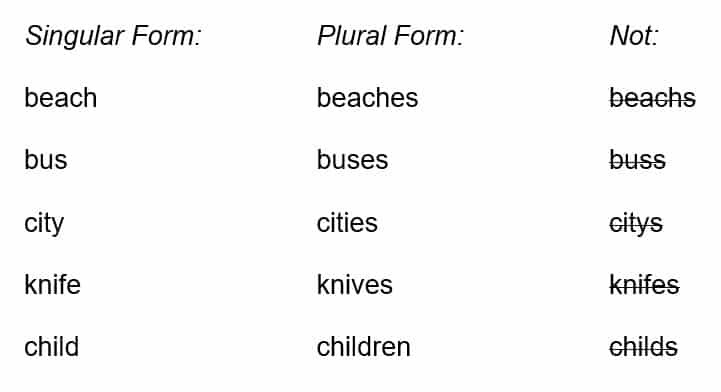 These nouns have the same form, whether singular or plural. For example, a farmer may have one sheep or many sheep. Animals: e.g. bison, buffalo, deer, duck, grouse, moose, sheep, shrimp, squid, swine, venison, etc. Fish: e.g. cod, salmon, trout, etc. Some Nationalities: e.g. Chinese, Japanese, Lebanese, Portuguese, Swiss, Vietnamese, etc. Miscellaneous Words: e.g. aircraft, crossroads, data, dice, grapefruit, offspring, series, species, etc. This creates a grammatical error. Read more about articles in Lesson 3.1, where you will also find some helpful practice exercises. Some numbers with a plural meaning take a singular verb, e.g. Clothing worn over two legs: jeans, shorts, tights, trousers, pants, knickers, briefs, etc. Items with two parts: glasses (spectacles), binoculars, scissors, pyjamas, bowels, etc. family, fire brigade, gang, government, group, police, team, etc. Ex. 5.1.4 Vocabulary Look at 5.1.13, above. a) Find ten more collective nouns, e.g. team. b) Write a sentence containing each one, in either British English or American English. State which kind of English you use! 1. This ________________ my pen _____. 2. There ________________ two pen _____ on the table. 3. These pen _____ ________________ on the table. 4. There ________________ a few pen _____ on the table. 5. There ________________ one pen _____ on the table. 6. There ________________ lots of pen _____ on the table. 7. There ________________ some big pen _____ on the table. 8. There ________________ a pen _____ on the table. 9. There ________________ a big pen _____ on the table. 10. This ________________ his pen _____. 11. There ________________ a box of pen _____ on the table. 12. That pen _____ ________________ on the table. 13. Why ________________ those pen _____ on the table? 14. These ________________ the only pen _____ on the table. 15. There ________________ a large quantity of pen _____ on the table. 1. There ________________ some pen _____ on the table. 2. There ________________ not many pen _____ on the table. 3. This pen _____ ________________ on the table. 4. There ________________ not a single pen _____ on the table. 5. There ________________ hardly any pen _____ on the table. 6. Those pen _____ ________________ on the table. 7. This ________________ their pen _____. 8. There ________________ several pen _____ on the table. 9. There ________________ twenty three pen _____ on the table. 10. This ________________ the last pen _____. 11. This ________________ the only pen _____. 12. There ________________ a new pen _____ on the table. 13. There ________________ a packet of pen _____ on the table. 14. There ________________ another pen _____ on the table. 15. There ________________ n’t any pen _____ on the table. 1. It _______________ a new ball _____. 2. These ball _____ _______________ in the garden. 3. A ball _____ _______________ in the garden. 4. There _______________ two ball _____ in the garden. 5. _______________ that ball _____ in the garden? 6. That ball _____ _______________ in the garden. 7. Those ball _____ _______________ in the garden. 8. This ball _____ _______________ in the garden. 9. Our only ball _____ _______________ in the garden. 10. There _______________ a ball _____ in the garden. 11. Some ball_____ _______________ in the garden. 12. A few ball_____ _______________ in the garden. 13. An old ball _____ _______________ in the garden. 14. 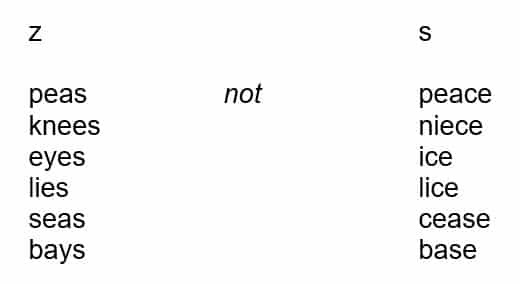 They _______________ in the garden. 15. Many ball_____ _______________ in the garden.